Frank Carter and the Rattlesnakes will be releasing their new EP ‘End of Suffering’ on May 3 through International Death Cult. The EP (which you can pre-order here) is led by single ‘Crowbar‘ and comes with a string of UK and European tour dates running from February right through until August, including a festival slot at the massive Sziget festival. 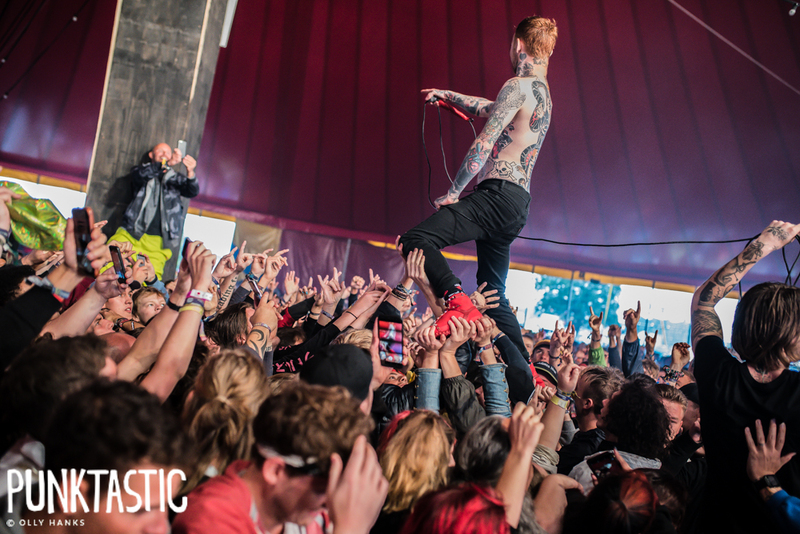 With claims that the EP will ‘lift the spirits and stir the soul’, this is a collection of tracks you’ll no doubt want to experience live at one of Frank Carter’s infamous shows – all of which are to be held at intimate venues across the UK. Exclusive pre-sale tickets to the shows can be purchased here and details for ‘End Of Suffering’ -which will be released on several exclusive, limited edition formats – can be pre-ordered here.